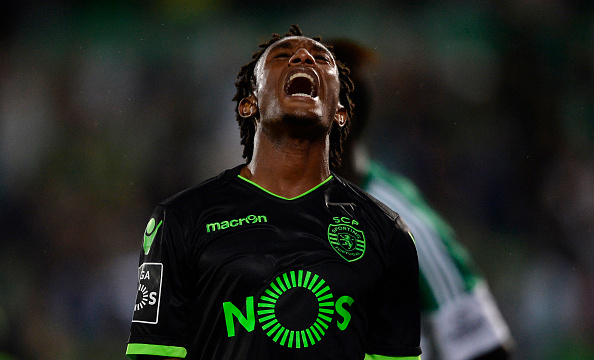 According to a recent report by A Bola, Arsenal have rekindled their interest for Portuguese speedster Gelson Martins after failing to sign him on loan during the January transfer window. The same source has also revealed that the Gunners will have to wait and take a back seat until the dispute between Martins and his former employers, Sporting CP is resolved. A Bola claims that the Portuguese outfit are still hoping to get compensation from Atletico following the player’s departure last summer. Martins started off his playing career at Futebol Benfica, before arriving at the Sporting CP Academy back in 2010. He battled his way up the club’s youth ranks and got promoted to play for their B side. Soon after, the Portuguese wing wizard got a chance to prove his worth for Sporting’s senior team. He rose to prominence during his time with the Liga NOS giants after putting in a string of dazzling displays for them over the past few years. However, he decided to quit Sporting after being attacked by the club’s fans back in June and joined Atletico Madrid last summer. Martins has since struggled to secure a permanent spot in Simeone’s first-team. Hence the La Liga outfit decided to send him out on loan to AS Monaco in January where he has made seven league appearances, scoring three goals while grabbing one assist this season. His success in France proves that the Portuguese sensation needs to secure regular first-team opportunities if he wants to fulfil his true potential. 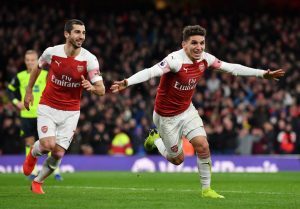 A move to Arsenal could be an ideal opportunity for him to get his career back on track but only if Unai Emery is willing to play him regularly at the North London club. The 23-year-old has blistering pace and is not afraid to take on his marker due to his exceptional dribbling ability. He can be categorised as a classic old-fashioned winger who likes to get to the byline and deliver some inviting crosses from the wide areas. He is also a tireless worker that makes him an excellent fit for Emery’s style of play at the Emirates. The potential acquisition of Martins will undoubtedly bolster Emery’s attacking options at Arsenal. The Gunners have currently got just one natural winger in Alex Iwobi in their squad. Hence, it makes sense for them to add a wide man of Martins’ ilk next summer. Emery should do everything in his power to bring the Atletico flop to England ahead of the new campaign. 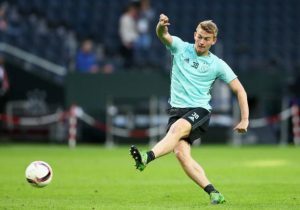 Liverpool Midfielder Set To Return From Injury After The International Break: Klopp’s Secret Weapon? Is This The Centre-Back Who Can Solve Arsenal’s Defensive Woes? 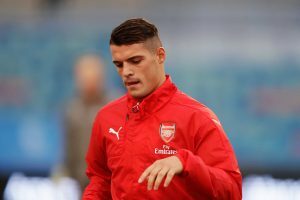 Predicted 3-4-2-1 Arsenal Lineup Vs Leicester City: Can The Gunners Start Off With A Win? Brace Yourselves Arsenal Fans, Attacking Star Might Be Temped By European Heavyweights!